By all accounts Lt. Caleb Campbell is struggling to catch up with the speed of the NFL while also trying to learn a new position in his first NFL training camp. 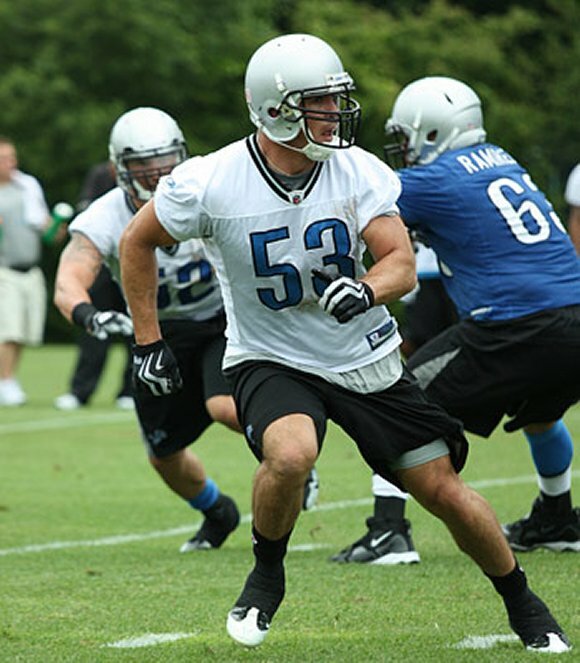 Drafted out of West Point as a safety two years ago, Lions defensive coordinator Gunther Cunningham has moved Campbell to weak side linebacker. Fellow linebacker Zack Follet, who was on the receiving end last year, said Campbell is getting an earful from Cunningham. Listed as the third-string weak side linebacker, Campbell got his first taste of NFL live action Saturday in the Lions’ first preseason game against the Pittsburgh Steelers. Campbell looked lost at times trying to pick up coverages, especially on the Steelers last touchdown, Antonio Brown’s 68-yard catch and run from quarterback Dennis Dixon. He finished with one tackle, albeit for a loss in the backfield. Cunningham admitted his rookie linebacker is trying to shake off the rust, or rather the “dust,” as the veteran defensive coordinator described it to the Detroit Free Press. The Lions have openings in their linebacking corps especially after losing Jordan Dizon for the season and DeAndre Levy still nursing a back injury. However, it looks like the Lions will try to sign another linebacker possibly after teams cut their rosters rather than move Campbell up. Right now, the Army first lieutenant looks more like a player destined for the practice squad, which might be best for both parties. It would give Campbell more time to learn the position and shake off the rust. The Lions obviously see potential or they wouldn’t have put this much time into him thus far.